Doing a 1000 pts Destruction force for an Age of Sigmar tournament this weekend. My original plan was to do about 82 miniatures but then the new Generals Handbook came. 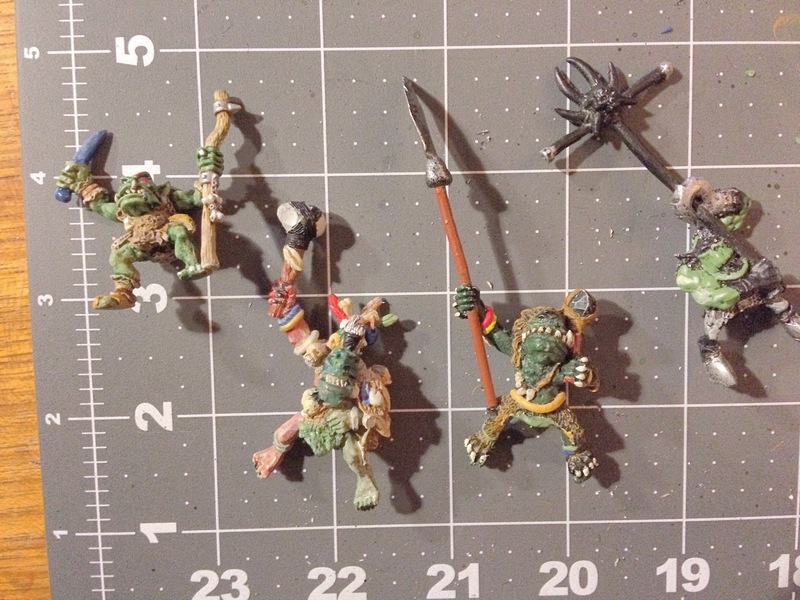 New plan will be an orc shaman as general, 40 grots and 3 ogors as battleline. 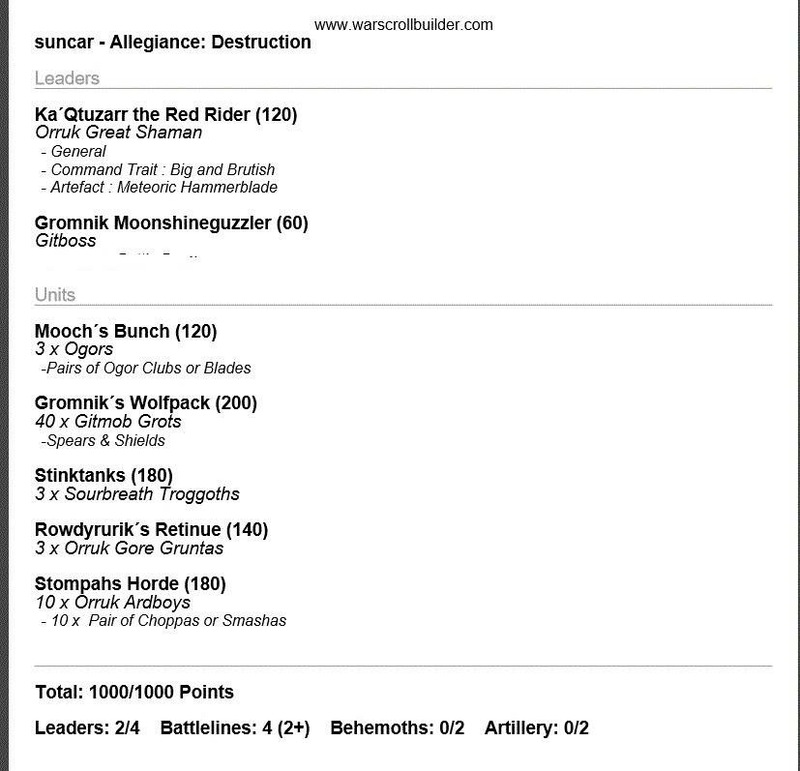 To that i will have 3 trolls, 3 Gore gruntas and a unit of ardboyz. Plus a gobbo big boss. That makes it 61 models instead. Thats fine. Plan is to present the units properly in individual posts but also put some of them up here already. This is my cavalry, the general plus Gore gruntas. 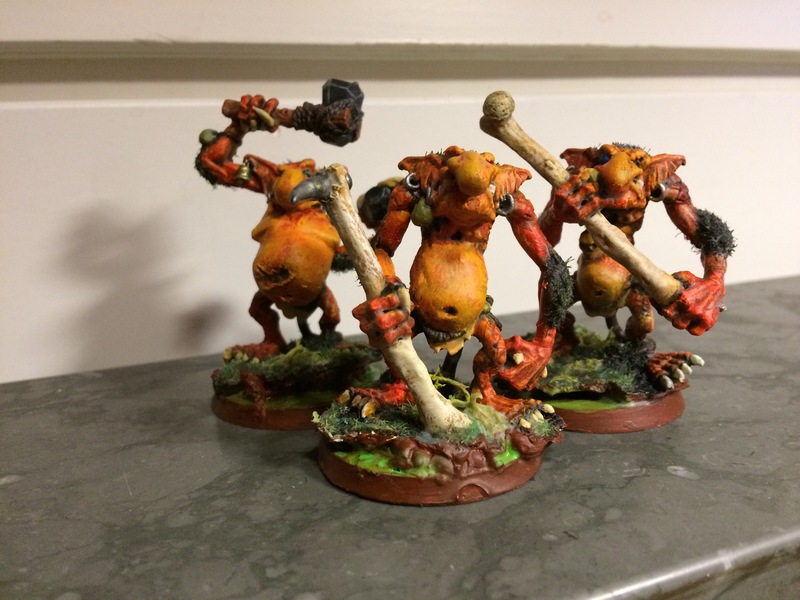 Next are the Sourbreath Troggoths, not the sharpest knives in the toolshed. I call them the Stinktank. The’ve been rebased, touched up and varnished since I played with them last time. 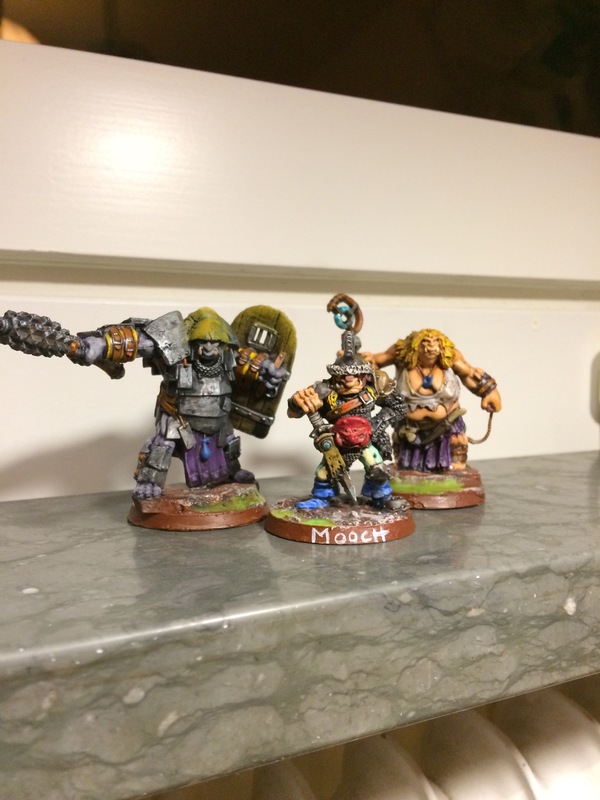 Here is also some ogres, Mooch’s Bunch, since they are lead by the Ogre Captain Mooch. The model is Hrothyogg, the C23 ogre Captain, sculpted by Jes Goodwin. Probably my favourite ogre model. The other two are from Reaper Miniatures, part of the Bones3 kickstarter I received earlier this year. Will do proper army pics this weekend.